MORA's new Bushcraft knife, the Forest knife . It uses their excellent Sandvik 12C27 steel in a 4 1/4 inch blade, 2.5mm thick.it has the new totally redesigned friction grip handle and offers superb performance for a budget price. 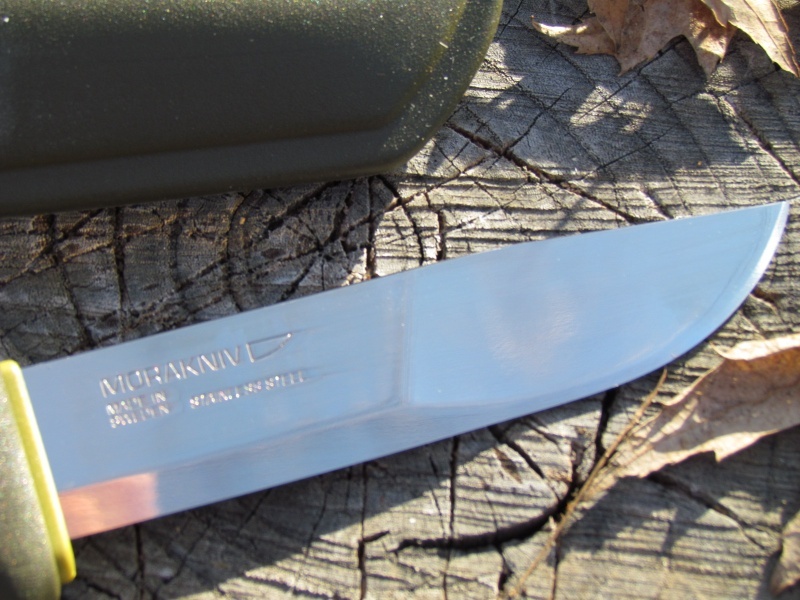 Great bushcraft knife or general use or camp knife, robust and user friendly. I find this a very comfortable knife to use and , as always, I'm impressed with the performance of the stainless Sandvik steel. Comes with a plastic sheath with belt loop. Blade.4 1/4in, 2.5mm thick, sandvik 12C27 stainless steel, 58HRC. Overall length 9in. 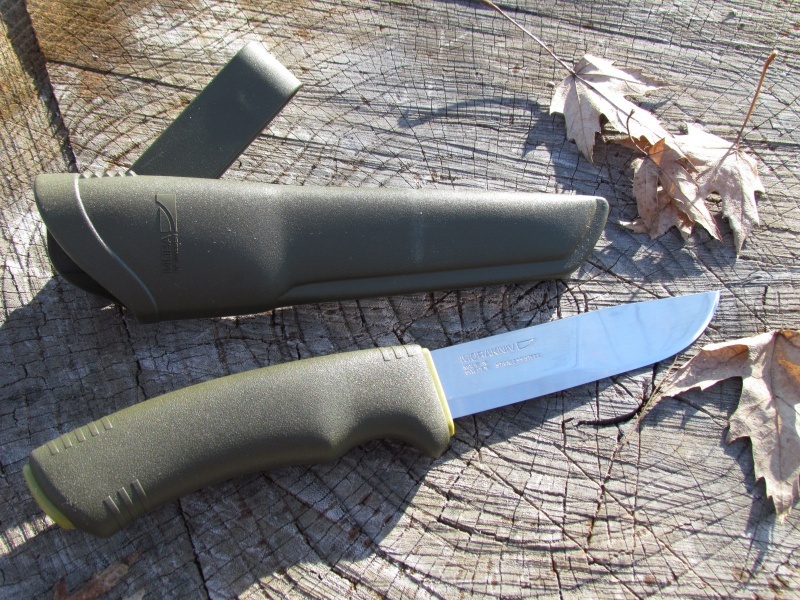 Purchase through PayPal by using the "Add To Cart" button above or use the form below to order the Mora knives Forest knife . Feel free to contact us if you have any questions about the Mora knives Forest knife .